GREAT BLUE HERON Great blue herons are one of my favorite birds on the planet. 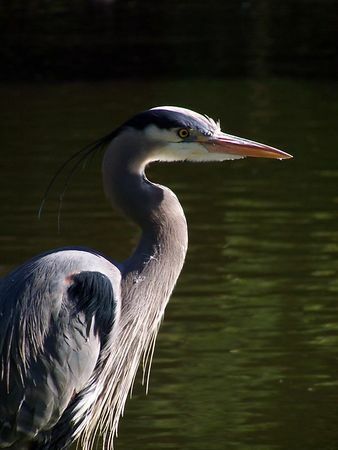 There is a heron rookery in Beacon Hill Park that is a ton of fun to watch during mating season. Please contact me by by email or phone at (250) 475-9268 in Victoria, British Columbia to purchase a royalty free or rights managed license for one of my photos. I use a software called PhotoQuote 2006 to determine a standard industry price for commercial sales. These images are also available as prints and you can use the shopping cart feature on this site to order directly from a professional photo lab.